This documentary looks at the only fan group whose name appears in the Oxford English Dictionary: Trekkies. Denise Crosby (Lt. Natasha Yar in The Next Generation) meets a huge array of Trek fans, from the man who tattooed the Klingon insignia on himself with a biro, to the woman who went on jury duty dressed as her Star Trek alter ego, and speaks to members of the cast about their continued popularity. This is a deeply affectionate look at the ultimate cult TV show. Originally cancelled in 1967 after just three seasons, the conventions started in the 1970s and have kept growing since, with different conventions taking place around the world on an almost weekly basis. James Doohan (Scotty in the original series) tells how he attends 30 to 40 a year. Even for a fan base renowned for their fanaticism, the devotion of some of these fans is remarkable. In one scene, a Klingon prosthetic used in the show is auctioned for $1400 to a man in a TV-quality Klingon costume. “I wouldn’t have left without it,” he says, not entirely surprisingly. The stars all make valuable contributions too with stories of gifts they’ve received and messages of support from people inspired by the show. Nichelle Nichols (Uhura in the original series) tells of inspiring Whoopi Goldberg and Doohan tells a beautiful story of how he helped prevent a fan’s suicide. I was expecting some resentful comments about fan obsession from stars weary of being known only for Trek, but they all take it in their stride and seem to have nothing but positive things to say about the love (and money?) they receive from this community. While it’s easy to make fun of people with such commitment to a niche interest, the fans who express themselves in out-there ways, such as regularly going out in full costume, repeatedly say that they’ve never had any negative experiences from their devotion, but they do often get supportive comments. This is easy to believe, as the sense of community and inclusion shared by Trek fans is evident throughout. 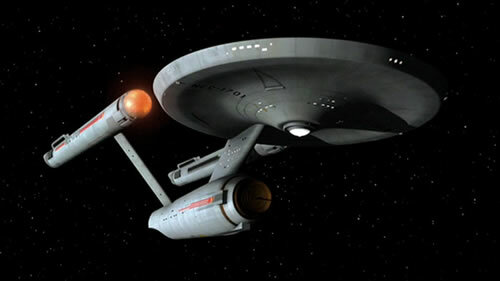 It’s here that the key to Star Trek‘s success lies. 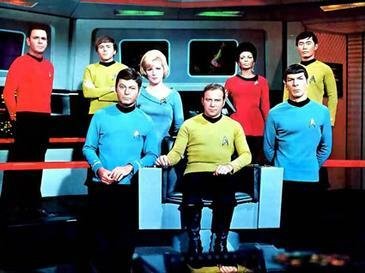 It has always been a champion of diversity – from showing different races working alongside each other, to having a Russian helmsman during the Cold War, to having a female Captain in Star Trek Voyager – and this diversity is matched in the fan base as people of all races, sexes, and walks of life come together. It’s a haven of inclusion and in many ways the embodiment of liberal values of tolerance and diversity. Trekkies will be better enjoyed by people with some prior knowledge of Star Trek, as it features no clips from the show and we’re generally expected to have an idea who the cast members are. That being said, there’s plenty here for even the most hardened treknophobe to enjoy as it ranges from funny to sad to heart warming, and shows that the utopian vision of Gene Rodenberry is something that no longer just exists in science fiction. By the end I had nothing but admiration for people who aren’t afraid to throw themselves into something that makes them happy. It would be nice if we all had a chance to spend time with such specifically like minded people, away from having to appear “normal”. That seems to be the main virtue of the Trekkie lifestyle. Open hailing frequencies, set phasers to fun and engage!